“I used to work as a daily labourer on other people’s farms for a small wage,” Hussien said, reflecting on the challenges he and his wife faced in feeding their children. When their fields could not produce enough food for their family, they would be forced to go to work on a neighbour’s farm, where they earned very little. Hussien standing in his green fields after successfully irrigating his land. Despite their low earnings, Hussien was determined to send his children – three daughters and two sons – to school. He knew it was their only chance to escape a life of poverty. But the family struggled to put food on the table, and it wasn’t easy to afford school fees either. They often had to sell off valuable family livestock – important assets – to afford grain to eat. 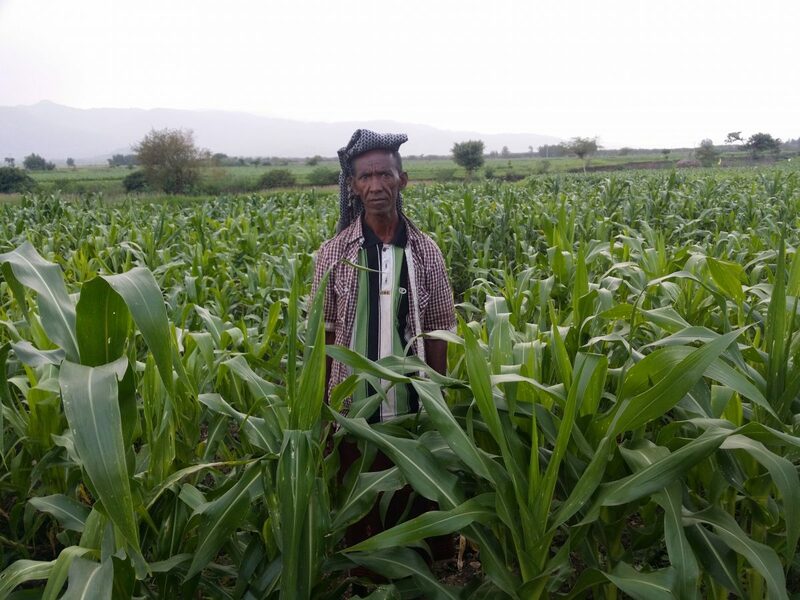 Everything changed one year ago when CFTC’s food security project MILEAR came to his small village and Hussien was identified as a farmer who would greatly benefit from irrigation and agriculture support. As a farmer who had only ever used his fields to grow food to feed his family, learning how to grow food to sell at the market opened new opportunities to earn an income. Hussien and other community members learned improved agronomic practices such as planting in rows, crop protection, and using drought-resistant seeds and fertilizers. These skills and techniques have never been more important to farmers living in Ethiopia, a country that is currently facing the worst drought it’s seen in more than fifty years. The well site near Hussien’s farm land. 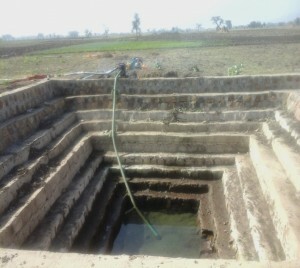 While excavation was underway to build a large well next to his farm land, Hussien was so excited about what he had learned, he didn’t want to delay implementing the new agricultural and irrigation techniques. He decided he was not going to wait until the construction was complete, so by the time the masonry was finalized, Hussien had already started irrigating his land and had harvested 1,400 kg of mung bean and 600 kg of haricot beans. 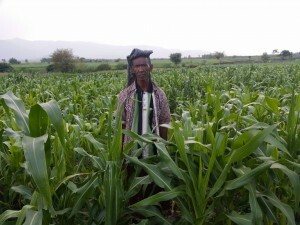 In his first harvest since MILEAR’s help, Hussien earned roughly 40,000 birr ($2,660 CAD) from growing mung bean alone. With the profits, he purchased a water pump – an important piece of equipment to improve and scale-up farming practices. “I hope to be a model farmer in mung bean production,” he told us, speaking of his future plans to expand his mung bean farming to maximize production to help supply the market. 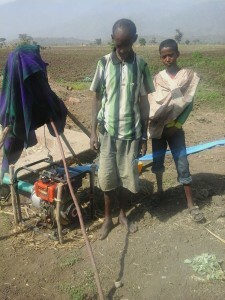 Hussien with his son using the water pump purchased with profit from their mung bean harvest. With his success, he’s been able to give back to his community – he’s hired local labourers to help on his farm like he once did – but now he’s able to afford to pay his neighbours a fair and livable wage. Thanks to CFTC’s donors, life looks very different for Hussien, his wife and his children. With their nutrition needs fulfilled, he can now fund his children’s education. His eldest son will soon be a university graduate, and he now knows he can give his other children the same opportunity too. The Market-led Improved Livelihoods in Eastern Amhara Region (MILEAR) project is a five-year, $7.64-million project funded generously by Global Affairs Canada and private donors.